Just like last year, when the iPhone 7 Plus was the best iPhone released in the pack, this year as well, the iPhone 8 Plus handily edges the iPhone 8 again, after going through modest advancements from last year’s 7 Plus. However, the iPhone 8 Plus faces stiff competition this time around, after the iPhone 7 Plus introduced a trend of a dual-lens camera and proved to be ahead of its competitors. Moreover, the iPhone 8 Plus has not had any defining advancements this year, apart from a glass backing and wireless charging option. One of the biggest competitor for the iPhone 8 Plus is the Samsung’s Galaxy S8 Plus. The S8 Plus is as strong as the Galaxy S8, but it has a bigger screen combined with a better battery life. Apple has not made any major changes with the iPhone 8 Plus design, which seems identical from the front display to the iPhone 6 Plus of 2014. Even though there has been an addition of glass on the rear side of the 8 Plus, once you get a cover on the back, it will not look a lot different from the 6 Plus. On the other hand, the S8 Plus is an absolute stunner. With all its devices, Samsung is going with an all-screen front, reducing the bezels on the top and bottom by moving the fingerprint scanner to the rear side, leaving a seamless, curved impression on the front. 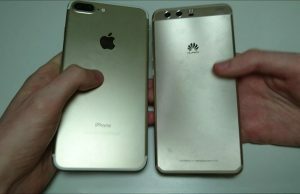 The unique design is a lot different from the same typical Apple design. The iPhone 8 Plus LCD screen does not see a major upgrade from last year with a 5.5in and 1080p specification. The screen looks nice, with great viewing angles and bright display. The new addition, the Apple True Tone tech adds a new edge by adjusting the color of the screen according to the lighting you are using the phone in. However, in comparison, the Galaxy S8 Plus screen is better. The 6.2in screen is a lot taller with an aspect ratio of 18.5:9, having a Quad HD resolution. Along with that, its AMOLED panel with deep blacks and brilliant contrast also supports high dynamic range (HDR) lighting for other supported media. The iPhone 8 Plus has a slight edge in the camera abilities with its dual-camera perks. Like the iPhone 7 Plus, the phone has two 12-megapixel rear sensors: the main one is f/1.8 with optical image stabilisation, while the second is a telephoto sensor f/2.8 without the optical image stabilisation. With two cameras, it enables the user to use optical zoom capabilities, and helps take DSLR-like photos. On the other hand, the S8 Plus has a single 12MP f/1.7 sensor, with the ability of optical image stabilisation and dual-pixel autofocus on the rear camera. The images are packed with natural colors, with fast image processing taking brilliant photos. The main back cameras of both phones are probably the best out there, but the iPhone 8 Plus’s second sensor offers a lot more than the Galaxy S8 Plus’ camera. Moving on to the mobile processors, Apple’s A10 Fusion chip from last year’s 7 Plus was brilliant against current Android chips, but the new A11 Bionic outclasses all of them. The result of a benchmark testing shows that the multi-core performance scores given by the A11 Bionic are about 50% higher than those given by the Galaxy S8 Plus’ Exynos 8895 chip. The S8 Plus has 4GB RAM, in comparison to the 3GB of the iPhone 8 Plus, but Apple has more power while carrying out normal tasks. Samsung’s 4GB RAM might only come handy when using higher-performance heavy games and applications. Moving on to the battery sector, the Galaxy S8 Plus has a fair bit more battery power than the iPhone 8 Plus with 3,500mAh in comparison to 2,675mAh. However, the difference in lifespan is not a major one. Samsung’s battery might take a beating from media and games usage, but it has the higher-resolution Quad HD panel to cover it up. With Apple switching back to a glass back, both of the phones offer wireless charging. Both also offer fast charging, but Samsung does it faster, while you would also need to purchase an extra adapter to charge the iPhone 8 Plus. Both devices have an internal storage of 64GB with the base device, with Apple offering more space up to 256GB for an extra £150. On the other hand, Samsung allows cheaper microSD cards to expand its memory. 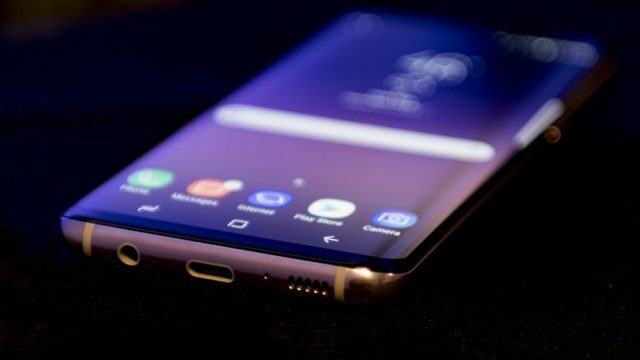 Apart from that, the S8 Plus also offers added advantages like the Gear VR headset, or the DeX station, which allows to use the phone as the brain of a desktop computing experience, but just plugging in a display, keyboard and a mouse. The iPhone 8 Plus also does not have the headphone jack, which the S8 Plus does. The S8 Plus offers a lot of variety, with a beautiful display and powerful battery to go along with a brilliant camera. On the other hand, the iPhone 8 Plus has a better camera, with the iOS 11 running smoothly on it. However, if you were to buy a phone based on a brilliant premium handset, we would recommend the extra stylish Samsung Galaxy S8 Plus.